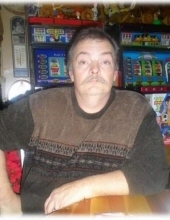 Clayton Ledford Waldroup, age 55, of Decatur, Tennessee departed this life on Sunday, November 18, 2018 at his home. He was born on January 28, 1963 in Fort Riley, Kansas to the late David Lewis Waldroup and the late Sue Ann (Kersey) Waldroup. Besides his parents, he was also preceded in death by his brother, Mark Alan Waldroup. He is survived by his wife, Julia Christine (Bunch) Waldroup of Decatur, Tennessee; six children, Tesia Terry (Marshall) of Jellico, Tennesse, Anthony Terry (Judy) of Dearborn Heights, Michigan, Andrew Waldroup, Thomas Waldroup, Cody Waldroup, and Brooklyn Waldroup, all of Decatur, Tennessee; one grandson, Leon Michael Lay of Jellico; two brothers, Darryl Waldroup (Cathy) of Dearborn Heights, Michigan and Todd Waldroup of Taylor, Michigan; several nieces and nephews; and a host of other family and friends to mourn his passing. Visitation will be 11:00 A.M. until the funeral hour on Saturday, November 24, 2018 at Croley Funeral Home. The Funeral Service will be at 1:00 P.M. Saturday, November 24, 2018 at the Croley Funeral Home Chapel with Rev. Jerry Humfleet officiating. Following the Service he will be laid to rest in the J.C. Tolliver Cemetery. To send flowers or a remembrance gift to the family of Clayton Ledford Waldroup, please visit our Tribute Store. "Email Address" would like to share the life celebration of Clayton Ledford Waldroup. Click on the "link" to go to share a favorite memory or leave a condolence message for the family.